Narrative: Trevor Jenkins (23) was convicted on several weapons related charges in Kent County Superior Court on Thursday, April 25th. However, Jenkins was not present as he failed to appear for the jury’s verdict. A bench warrant was issued by the Kent County Superior Court for $100,000 cash for Trevor Jenkins as a result of his failure to appear. The verdict stems from a 2013 case where Jenkins was arrested by the Dover Police Department. On May 24, 2013, officers became alerted to a possible conflict in the area of South New Street and South Queen Street. Officers began to monitor the situation by utilizing the downtown surveillance cameras. While watching the cameras, officers observed Jenkins enter a silver vehicle and later exit, tucking an unknown object into his right rear pocket and jump a fence in the 100 block of South New Street, eventually crossing to South Queen Street. Officers then observed another subject that was with Jenkins, remove what they believed to be a firearm from the trunk of the same silver vehicle. Dover Police Officers responded to the area and confronted the subjects, who then fled. After a lengthy foot pursuit, Jenkins was captured and found to be in possession of a .38 caliber Taurus revolver in his right rear pants pocket. 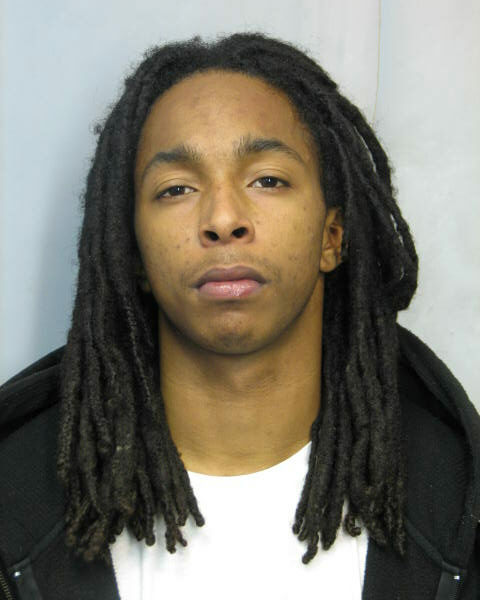 Jenkins was prohibited from possessing a firearm due to a felony conviction of 2nd degree Robbery in August of 2008. Anyone with any information about the incident should contact the Dover Police Department at 302-736-7111. You may also submit an anonymous tip with Delaware Crime Stoppers by phone at: 1-800-847-3333 or online at: http://delaware.crimestoppersweb.com.